If this already sounds like just an IT thing to you, think again. In the automotive space automakers and others all over the globe are realizing that by tightly synchronizing and coordinating the exchange of data on a real-time basis between systems, they can improve the effectiveness of the retail network. Consider the example (below) for a “generic dealer sales process” and imagine a highly synchronized and automated process with each system delivering and receiving the information. Have we lost you again? Stick with us because it’s in this world that the potential is there to actually influence outcomes, or more specifically in this example, increase sales. 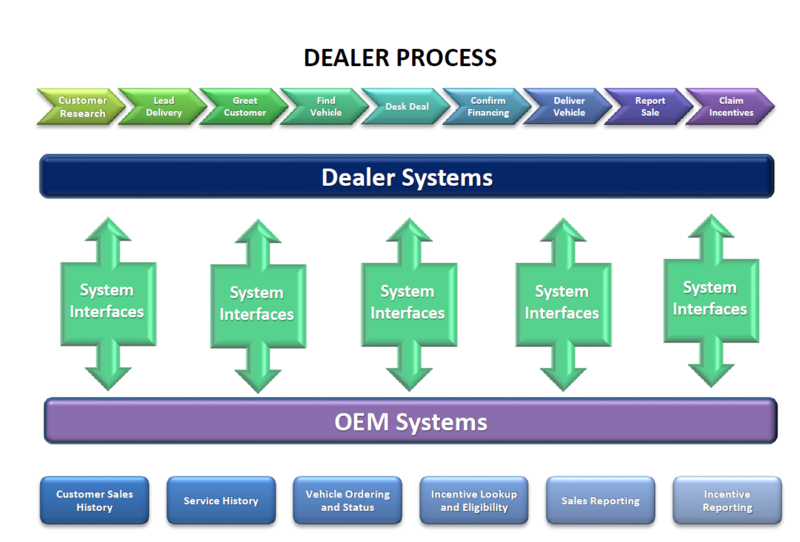 If an OEM and its retailers are able to connect systems in real-time and share specific information during the sales process, even down to the specific incentives available for that customer/ vehicle/deal type, is it conceivable you could increase sales, and improve the customer experience? 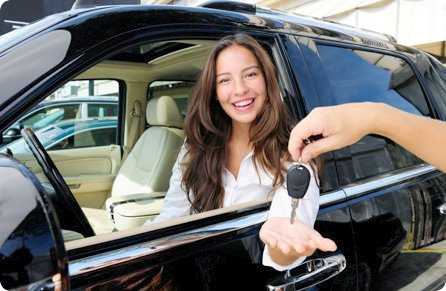 A recent study by EY found that 72% of consumers feel that an improved buying process would motivate them to visit dealerships more often. Is it possible you might be able to better apply available incentives or even reduce incentive spend? We think so.In fact, we think that there are literally 100’s of examples across automotive retail for enabling a collection of integration points to be implemented across a range of dealer systems to drive process consistency and collaboration. What’s more, this can be achieved, irrespective of the range or number of different types of systems being used in the stores. Outcomes in banking, healthcare, consumer packaged goods all provide proof points for automotive retail that a BPI approach is viable here also. Yet we see fewer and more limited examples than you might think. Why? It’s 2015, this is not a technology issue. We all know this has been done with great success on the supply side of automotive. It’s common to hear that the problem with BPI in automotive is caused by dealers having too many software systems, leading to difficult and costly integrations. However, being able to choose what solutions are best for their business and their customers is key to them being successful. Attempts to limit the choices of software that a dealer can use have failed for exactly this reason. Perhaps the true issue is more simple. Programs which improve customer experience in sales and aftersales, streamline routine processes within dealerships and improve OEM visibility into their retail networks all have one thing in common. They require an efficient, easy and standardized, “system agnostic” means of integrating with any dealer system. Tools to help manage these types of integration programs already exist, but as Marcel Proust once said, "The real voyage of discovery consists, not in seeking new landscapes, but in having new eyes." Note: This is the first of several upcoming posts on data integration, business processes integration, business analytics and the role of big data in propelling the automotive industry forward.